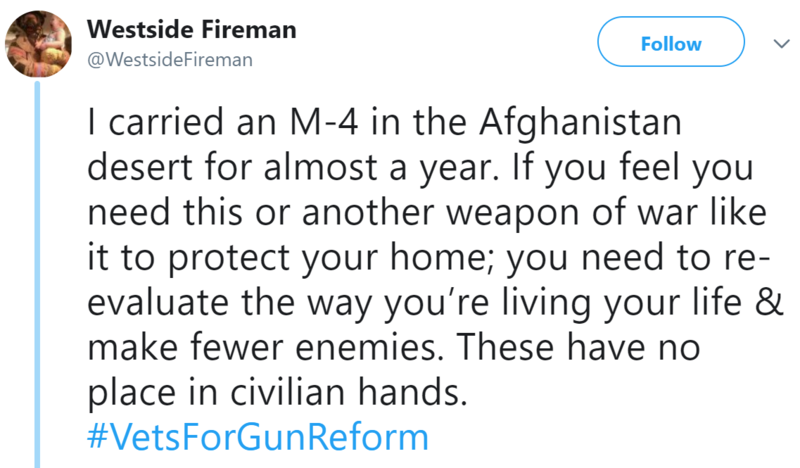 Every so often the antigun zealots let their mask slip and reveal their true intentions, and the recent tactic of calling ordinary semiautomatic rifles “Weapons of War” is what we will talk about today. The basis of this description is a bald-faced appeal to emotion. A Weapon of War is clearly something extraordinarily dangerous, and by framing the AR-15 as such, they already set the stage that there is something unusual & frightening about them. The US military doesn’t use the AR-15. The US military uses the M16, & M4 carbine, which are cosmetically similar to the AR-15, but have an additional capability: fully automatic fire. So let’s make this absolutely, perfectly clear: if someone calls an AR-15 a “Weapon of War” they are lying to you. If you are unfamiliar with this topic, I strongly recommend the following website: http://www.assaultweapon.info where they discuss the differences between “assault weapons” and machineguns. The reality is that AR-15s are no different than any other semiautomatic weapon available on the civilian market: you pull the trigger, a single bullet is fired. You pull the trigger again, another bullet is fired. Repeat until there is no more ammunition, or you’ve decided to stop shooting. [H]andgun restriction is simply not viewed as a priority. Assault weapons … are a new topic. The weapons’ menacing looks, coupled with the public’s confusion over fully automatic machine guns versus semi-automatic assault weapons—anything that looks like a machine gun is assumed to be a machine gun—can only increase the chance of public support for restrictions on these weapons. But let’s ignore this and just look at the phrase “Weapon of War” and follow the logic chain. If “Weapon[s] of War” should be banned, even if the “Weapon of War” isn’t actually a “Weapon of War” then what about actual firearms being issued to the military? Looks pretty scary, right? It’s tan, it has a folding stock, a pistol grip, a black barrel, rails for mounting all sorts of terrible devices…. wow. Frightening! Clearly a non-scary, harmless deer rifle, just like Grandpa used to have. That is how the firearm operates – the mechanism is called a “bolt action” – that lever above the trigger has to be pulled up, then back, then moved forward and down after each shot in order to load the next round. Everything else is extraneous. The barrel, the stock, any accessories such as a telescopic sight or bipod or anemometer or laser sight… none of those change how the firearm functions. The sniper rifle at top is the same gun as “grandpa’s deer rifle” on the bottom. If you ban the former, “Weapon of War” you have to ban the latter. No discussion about “Weapon[s] of War” is complete without mentioning shotguns. Shotguns have a proud history in warfare, and have been present in every military conflict where US soldiers have been combatants. You’ve got the full sized version that is used to guard facilities & prisoners. You have a shorter version with a collapsing stock for Close Quarters Battle in urban environments, and you have a Breaching variant that is used to blow open locked doors when performing dynamic entry. 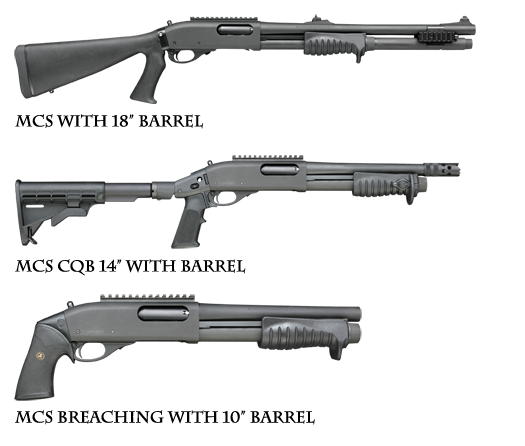 Would you be surprised to know that both sets of shotguns are variants of the Remington Model 870? Again, both are pump action shotguns, the only difference is cosmetic: the furniture & finish. If you want to ban “Weapon[s] of War” then you simply must ban shotguns. The M9 pistol happens to also be known as the Beretta 92FS which was the standard sidearm of the LAPD for decades. 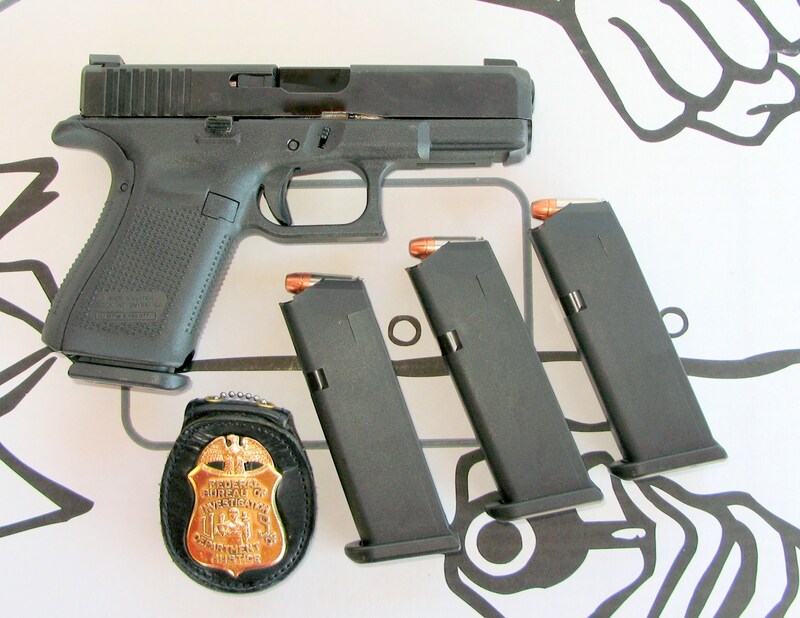 While the Glock 17 has long been the standard issue sidearm to armed forces around the world. So clearly if you want to ban “Weapon[s] of War” you must ban common pistols as well. Conclusion: by telling us they want to ban “Weapon[s] of War” the antigun zealots confess their true goal is to ban every type of firearm; they just aren’t smart enough to realize this.